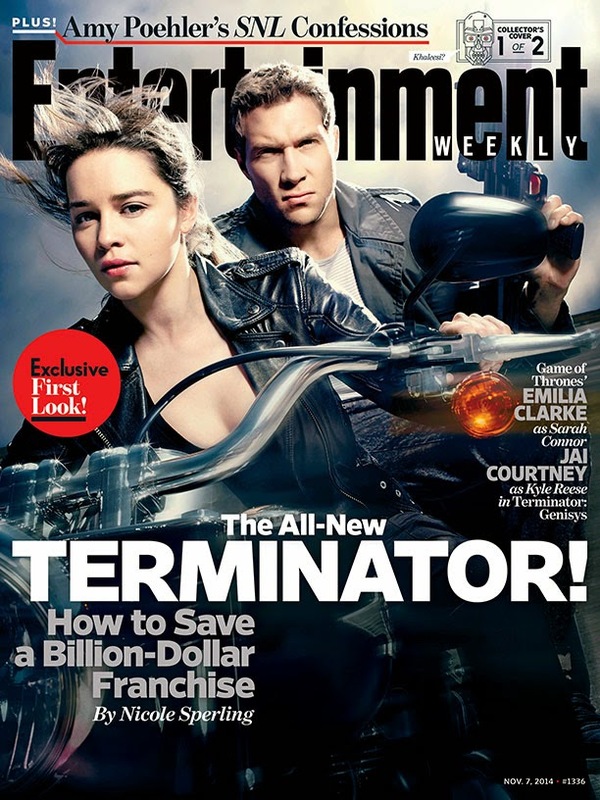 We have had very little details so far on the 5th film in the Terminator franchise, Terminator: Genisys, but now Entertainment Weekly features the film with two covers. We also have our first details of story elements from the new film. In the film Sarah Conner (played by actress Emilia Clarke) was orphaned at 9 years old due to a Terminator sent back in time and as a result is raised by Arnold Schwarzenegger’s Terminator, whom she calls “Pops.” This older T-800 is “programmed to guard rather than to kill,” and has apparently rubbed of on Sarah as she is described as “great with a sniper rifle but not so skilled at the nuances of human emotion.” “Since she was 9 years old, she has been told everything that was supposed to happen,” producer David Ellison says. “But Sarah fundamentally rejects that destiny. 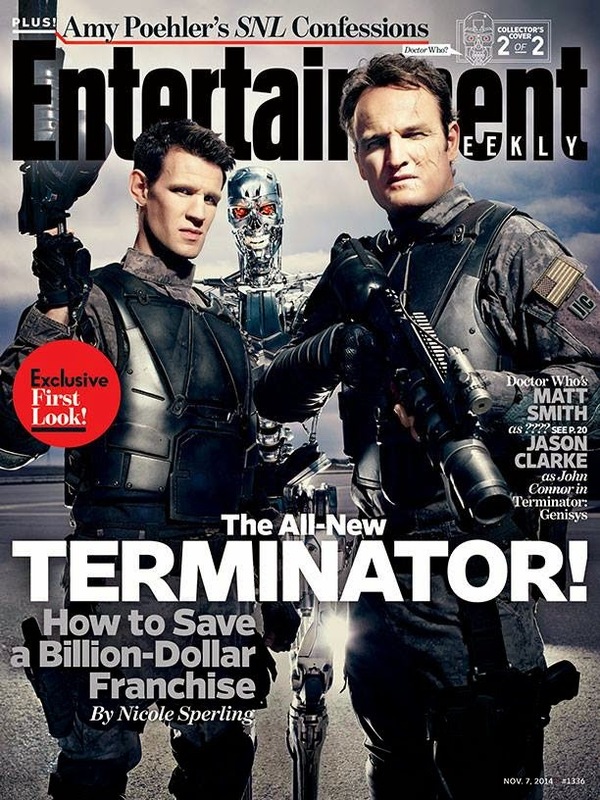 She says, ‘That’s not what I want to do.’ It’s her decision that drives the story in a very different direction.” Terminator: Genysis is the first in a new trilogy of films for the franchise and due in theaters July 2015.